Posted in: Nugent - Stern (1978). Tagged: gameplay adjustment, improvement, line guides, Nugent, playfield, pop bumper, restoration, Stern. 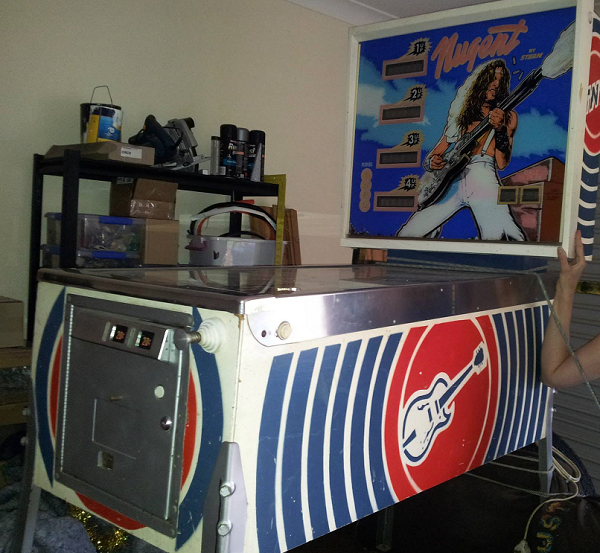 I performed some minor changes to the playfield today. 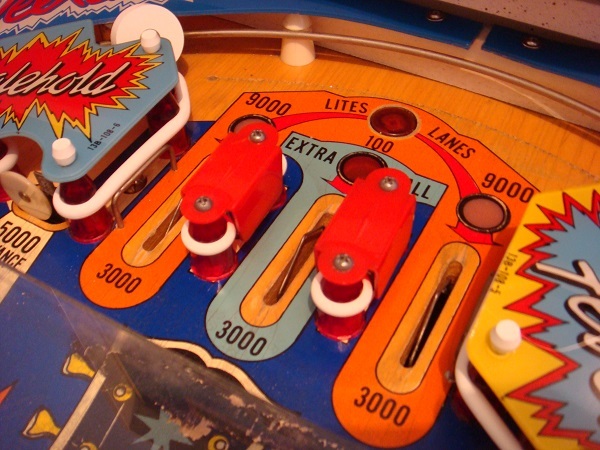 The original Nugent machines came with solid red lane guides at the top of the playfield. They look OK, but are a little dull. When looking around at various pinball spare parts shops I spied a few transparent red guides that would look awesome, so I purchased them. 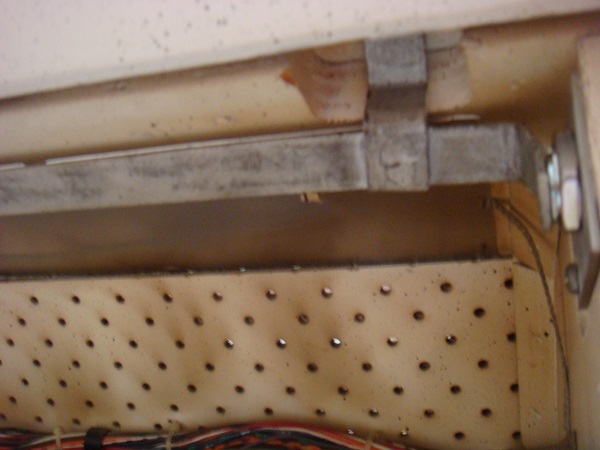 Replacing them is as simple as removing two screws. One of the first things I wanted to when I got the machine was have a look at the game board and power wiring. Most of this lives behind the backglass. There is a lock on the top right of the machine. Sadly this lock came with no key, and I could not locate one inside the machine. Looking at the lock, it appeared that the previous owner had also misplaced the keys as the lock itself looked like it had been attacked with a screwdriver. Using a screwdriver myself, I undid the lock. After playing my Nugent a lot over the last two weeks, I decided it was time to make some improvements to the gameplay – this means giving some attention to the playfield. For now, I’m keeping it simple but in the long run I plan to use some Novus 2 and wax along with leveling the inserts to really improvement playfield. First step was to get access to the playfield. 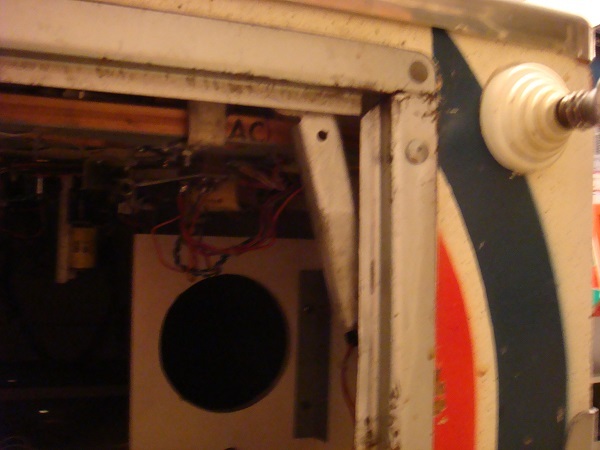 To do this, I need to remove the lockdown bar which side across the end of the pinball table. Just inside the coin door – at the top right – is a handle. Pulling this to the left unlocks the lockdown bar.